Could rivals of the United States easily imitate its advanced US weapon systems and thereby undermine its military technological superiority? Andrea Gilli from the NATO Defense College and Mauro Gilli from the Center for Security Studies at ETH Zurich have investigated this question and recently published their results in the academic journal International Security. Existing research in international relations usually assumes that less developed, but militarily and politically ambitious countries, benefit from the “advantage of backwardness”. Namely, they could close the military technology gap with highly developed states relatively easily and quickly by copying and replicating their technologies. Recent research has also argued that globalisation, together with the spread of technologies that are primarily civilian but are used by the military (known as dual-use goods) and technological advances in communications, have made it easier to copy and replicate military technologies. However, this assumption has not been empirically confirmed, says ETH Zurich researcher Mauro Gilli, “because it overlooks one of the most important changes that has taken place in weapons development: the exponential increase in the complexity of military technology”. As the technological complexity of weapons increases, their production changes as well. Nowadays, this complexity is so great that it makes it difficult to imitate weapon systems. This means that despite global networks and real-time communications, countries like China cannot simply copy high-tech weapons from the US. 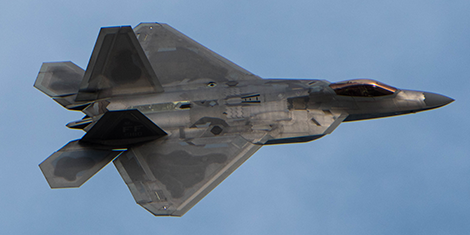 As a result, there is little reason to expect that China will be able to replicate the performance of America’s most advanced systems in the near future, such as the F-22/A stealth fighter. Andrea Gilli and Mauro Gilli use China’s efforts to imitate US stealth aircraft and develop the latest drones to show that there are practical limits to the imitation of military technologies through reverse engineering and cyber espionage. Their findings are being eagerly discussed on Twitter. Gilli, A, Gilli M: Military Technology: The Realities of Imitation. CSS Analyses in Security Policy No. 238 (2019). Florian Meyer is an editor and communication specialist for the ETH’s Corporate Communications’ content team.